Click here to attend, share and invite your friends the event! WEDNESDAY 22ND NOVEMBER AT ROUGH TRADE NOTTINGHAM, FROM 7PM. FREE ENTRY – NO TICKET NEEDED. Arrows Of Love, the frenetic, chaotic art punks of East London now ironically/appropriately signed to Notts finest ‘I’m Not From London Records’ as part of their PRODUCT album tour of Europe and the USA here in Notts, come be part of it!! “Given this dearth of decent guitar music, it’s something of a surprise when one comes along and punches you in the gut. “The five-piece, have been building a reputation as a manic live act with a sardonic twist. Buy the album like a boss here: Disclaimer – The album is called PRODUCT not Like a boss. Vinyl pre-order link coming soon!!! 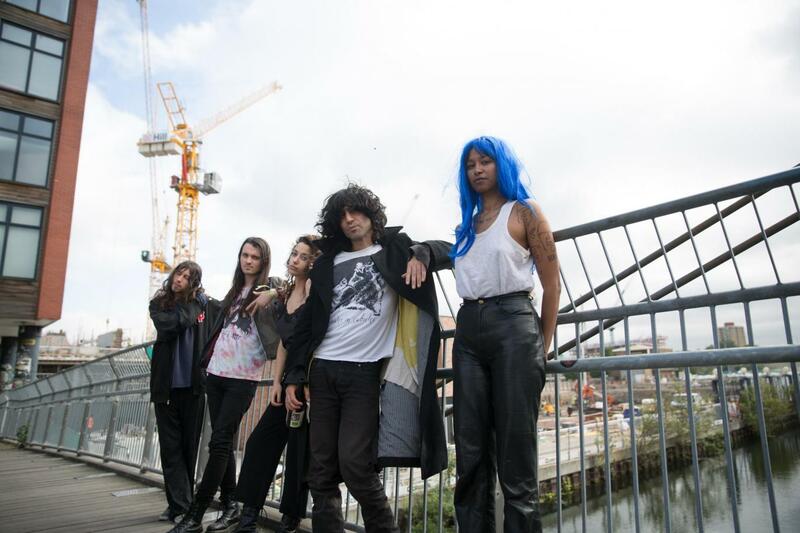 Derby/Nottingham feminist badass punks with brand new single CONTROL out now with an earsplitting EP on SoundCloud! Those Howlin sounds is the lo-fi solo project of Alex Strongman (formerly of The Jet Boys/Villain). Taking influences from the DIY garage scene in the U.S and U.K (Ty Segall/Bass Drum of Death/King Khan), as well as 60s pysch garage (The Seeds/Los Saicos), Those Howlin’ Sounds is a lo-fidelity, slap-backed blues composite. Alex finished writing Those Howlin’ Sounds debut album at the end of last year and recently released their first single ‘Twenty Five’ on Bandcamp for free here! FLOOR ONE AT Rough Trade Nottingham IS LIFT ACCESSIBLE AND ALL AGES ARE WELCOME.